It was the summer of 1979, two weeks before I was to begin my last year of Way Corps training. I was waiting in line to buy an ice-cream cone at an event at The Way International. While in line, I looked for the opportunity to speak the Word to someone. Meeting new people and learning from them was something I loved. A young man in his twenties got in line behind me, and we started to talk. He shared with me how he had a big desire to get married. I started to share the Word with him and quoted Matthew 6:33, “But seek ye first the kingdom of God, and his righteousness; and all these things shall be added unto you.” I then encouraged him to put God first in everything in his life, and God would meet all of his needs. After giving him two other verses to think about, I said I would pray and believe with him. He thanked me for helping him and then asked if I had any needs in my life. I said, “Of course I do!” I told him my financial need of three hundred dollars before the week was over. The three hundred dollars was all I would need to have my Way Corps training completely paid for—in full—for my final year. For me that three hundred dollars had been a real challenge. I had tried everything I could think of for weeks to receive that money. I put three scriptures on a small index card to help me stay clear and concerned on this project. Be careful [anxious] for nothing; but in every thing by prayer and supplication with thanksgiving let your requests be made known unto God. I was convinced that by the time I started my last year, my training would be completely paid for. I wanted to finish my final year free from any distractions. My goal was to give all my attention to the training program. Every time a little negative thought came into my mind that the money was not available, I stopped the thought with the Word of God. The young man listened to me and then said he could help me with that goal. I thought to myself, This is great! I will have one more person praying and believing with me. But then, he took out his wallet and handed me three hundred dollars! I had put to memory three beautiful scriptures to help me stay focused, and I received abundantly as God had promised in His Word. Memorizing scripture is a powerful way to retain God’s Word in our hearts so that we can claim it in our lives and help others as well. When I retain God’s Word in my mind, I do it for me first. I want to remember God’s promises so that I can claim them. The second reason I take the time to retain God’s Word is to help my family, and third, to help others. Let’s build our understanding of memorizing scripture, including its benefits; then look at examples of Jesus Christ and the Apostle Paul holding the Word accurately in mind and speaking that Word they retained; and finally, in a very practical way, go over keys to memorizing so that we can increase our ability to retain God’s Word. Webster’s New World Dictionary defines “memorize” as “to commit to memory; learn by heart.” We want to remember God’s Word and bring to our minds the promises and love He has for each of us. Every day we can remember God’s Word, speaking and writing it as often as we like. Retaining God’s Word helps us to live the Word and be the sons of God we are called to be. Let’s look at a few verses where God encourages us to retain His Word. We want the paths we take in life to be pleasing to God. This takes effort and time to know what is pleasing to Him. Memorizing God’s Word can help us stay on track when we are in challenging situations. Retaining Bible verses makes the Word available to us at any time, anywhere. One of the greatest ways to acknowledge God in our daily walk is by retemory—retaining in our memory the Word of God. We have helpful tools known as “retemory cards” that we can use, and we can make our own cards too. “Retemory” comes from the joining of two words, “retain” and “memory.” This word is not in any dictionary; it is unique to our ministry. 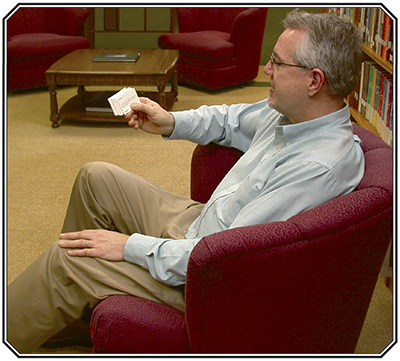 Many of the Biblical classes that The Way International makes available have a set of retemory cards that are given to the students. These packets of verses are designed to help us retain the Word we have been taught….